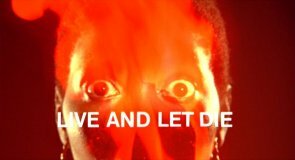 Filmed in New York, New Orleans, Jamaica, etc. 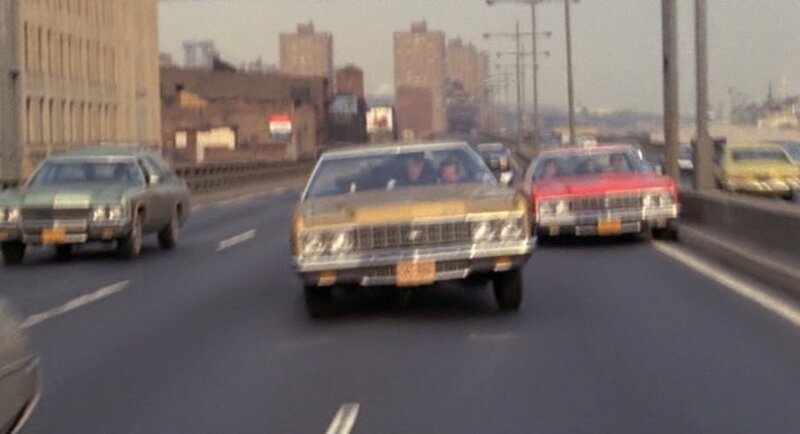 There are a lot of background cars in this movie, which are not 1973 Chevrolets. I think bothe the green and the blue vans are probably Fords or Dodges, maybe one could be a Ford and the other could be a Dodge, but if I had a photo of the fronts I could be sure. How many Brand new cars were destroy/damage? Not as many as in Matrix Reloaded, but I think ca. 15. 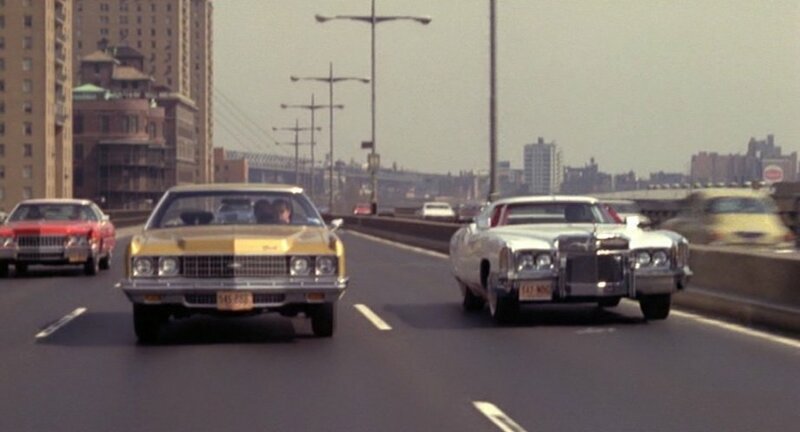 I'm pretty sure the scene where it's 75% Chevys and 25% Cadillacs and Bond backseat drives a taxi was filmed on the FDR Drive southbound between the South Street exit and the Battery Park terminus of the FDR. 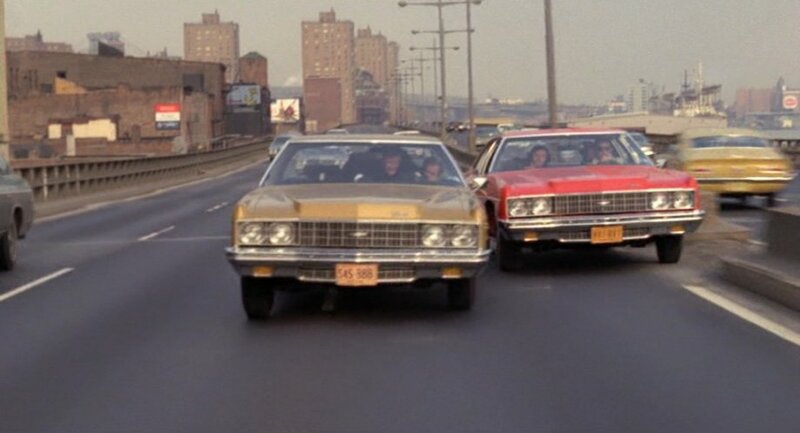 Lots of 1973 Chevrolets were used (and wrecked) in this movie because the movie is sponsored by Chevrolet. They say it in the credits. 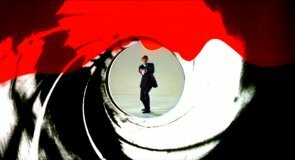 From what I read about this film, this James Bond film was released at the height of the "Blaxploitation Era"; a film subgenre of the 1970s with African-Americans portrayed as pimps and big time gangsters driving around in their heavily customized cars; "the pimpmobiles". 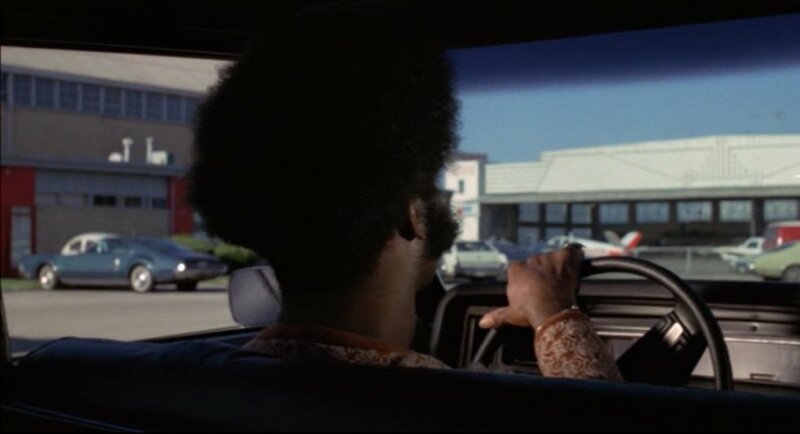 This film used the stereotypes and cliché that were used in several Blaxploitation films in the 1970s; the ethnic slang, the fashion, the music and the pimpmobiles. 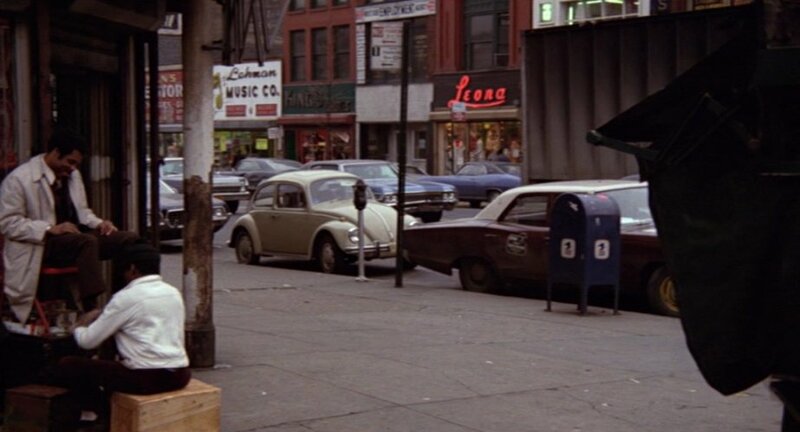 There is a surprising array of models of some of the more minor cars from this movie.